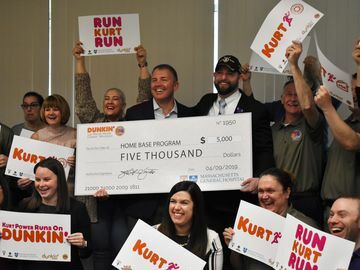 This Fall, we were blown away by thousands of Dunkin' Donuts and Baskin-Robbins guests from across the country joining together to take part in our Community Cups and Cakes for a Cause National Paper Icon Fundraisers, by donating $1 to support The Dunkin' Donuts & Baskin-Robbins Community Foundation (DDBRCF). Each guest who donated received a paper icon to sign and display in their local restaurant. We want to take a moment to extend a heartfelt THANK YOU to our guests for their generosity. As a result of your support, we raised over half a million dollars nationwide, which will be granted to charities that address hunger, children's health and the safety needs in our neighborhoods. 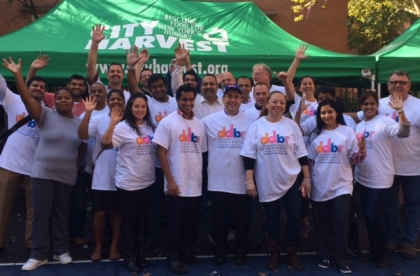 In the spirit of giving back to our communities, this past October, Dunkin' Donuts and Baskin-Robbins franchisees and crews across the country, along with Dunkin' Brands employees, came together during our first ever National Volunteer Week of Service. 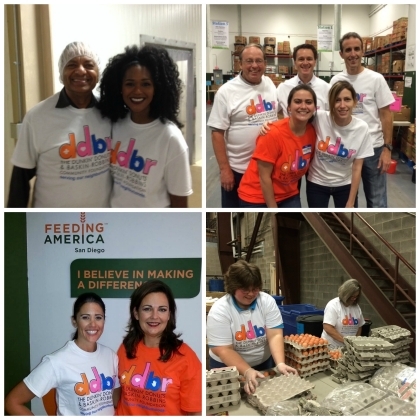 During the course of the week, nearly 2,000 people volunteered at over 60 Feeding America member food banks nationwide. Throughout the week, nutritious food was bagged, loaded into trucks and distributed to various Feeding America member food banks across the country. The food was then unloaded and carried to warehouses where it was placed in backpacks to be handed out to families on city streets. For some volunteers, there was also prep work before the food distribution, including farms being tilled, fences built and eggs checked for cracks. Through this initiative, over 500,000 pounds of food were sorted, resulting in 300,000 meals for children and their families. 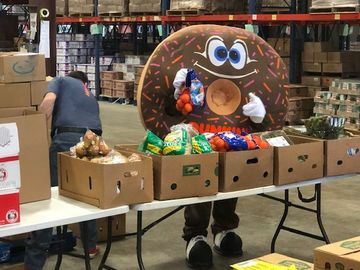 To see the different locations that Dunkin’ partnered with Feeding America member food banks for the Week of Service, check out Mother Nature Network’s interactive map here. 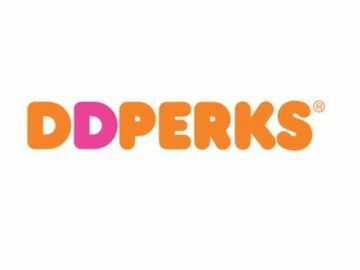 *Want to get involved or learn more about the Dunkin’ Donuts & Baskin-Robbins Community Foundation? Visit us here.